In the post-war period, now into his late sixties, Picasso began to take stock of his life's work. In 1947 he donated 10 paintings to the Musée d'Art Moderne in Paris and, as a result of this, got to see his work display for the first time, alongside masterpieces from the Louvre. From this point onwards, Picasso increasingly produced pieces based explicitly on the work of Old Masters. In 1950 he created several such variations, including works of Edouard Manet, Paul Cezanne. He also produced this portrait after El Greco's portrait of his son, also a painter. El Greco's work had left its mark on Picasso since his earliest days, and had influenced many of the painting he had produced in Paris at the turn of the century, Picasso had even turned to El Greco as a source of inspiration for his early breakthrough work, Les Demoiselles d'Avignon of 1907. 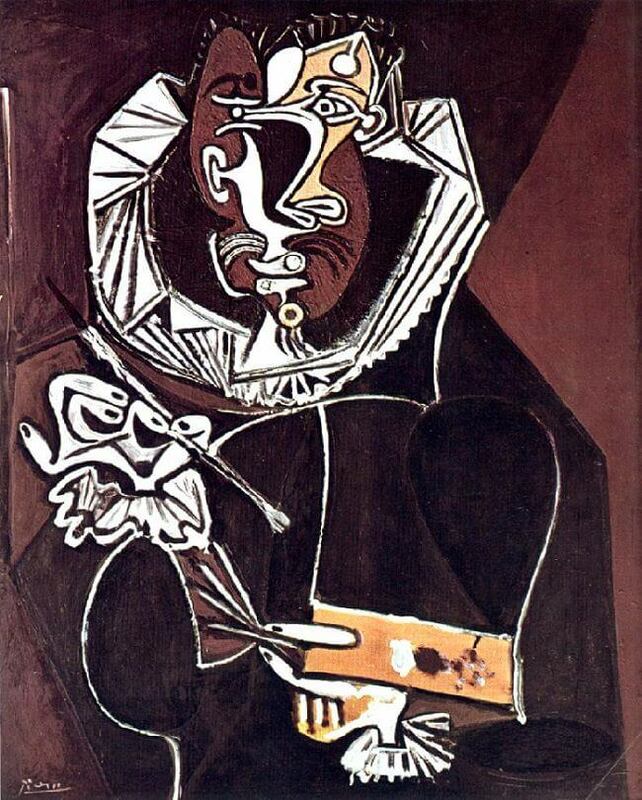 In his variation on El Greco's Portrait of on Artist, Picasso has adopted the warm browns and ochres of the other artist's style to represent a typical Golden Age Spanish gentleman. The Cubist-inspired forms, however, are very much of the twentieth century.